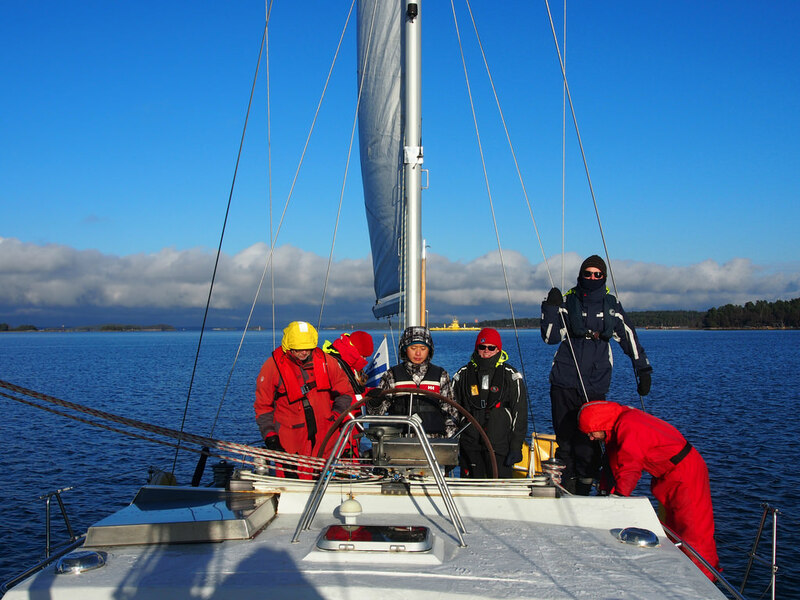 Cold weather sailing challenge! I have discovered one aspect of living aboard and cruising that I really CAN'T do--and it is humbling to admit it! In the early days of my citizenship in the cruising village, I was intrepid...mentally intrepid, at least. When I read memoirs and letters by people who had already lived aboard their boats or put thousands of miles under their keels, I invariably said to myself, "I can do that! I can do that!" As time went on, I proved out my assertion, first along the U.S. east coast and into the Caribbean, then on the U.S. and Latin American west coasts and into the Caribbean. Like any sailor on a small boat for a long period of time, I encountered all kinds of challenges--some easy, some difficult--that I was able to meet and learn from. First Experience with Cold Weather Sailing! Then, during a sail down the Intracoastal Waterway in the fall, I discovered that I hate being aboard in the cold. This was not a situation that I ever thought daunting up until then. 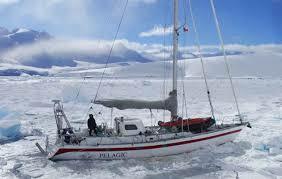 I had read letters from any number of U.S., Canadian, and European live- aboards who spent most or all of their time in the upper latitudes, and I had talked with folks who lived on boats as far north as Alaska. They all had one thing in common-an almost offhand dismissal of living on board in their winters. Sure, they all said, there are things you have to do or have so that you can live comfortably, but once you get the hang of it, no problem. 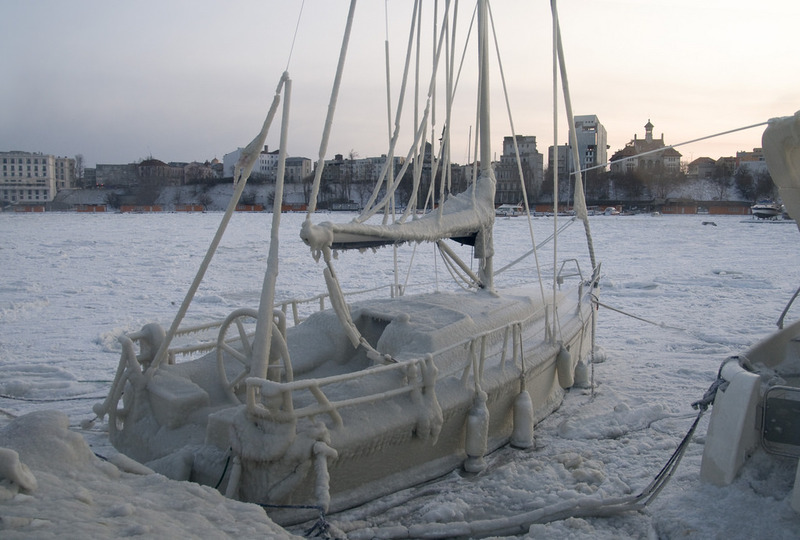 I had come to think of living aboard in the cold months as simply another challenge to be mastered-certainly not something to drive me off the boat. The beginning of my cold weather sailing initiation started in October during our trip down the Intracoastal Waterway from the Chesapeake Bay. That fall was particularly cold in that part of the U.S., and the cold came early. A passage that in other years would have been in an Indian summer was made in below-freezing mornings and days that didn't get much warmer. We had the proper gear--Polartec tops and bottoms, long underwear, wool socks, ear muffs, inner and outer gloves, Aran sweaters straight from Ireland, UGG boots with sheepskin linings-and we knew the ins and outs of layering clothing to maximize heat trapping. I wore my fleece "Dr. Denton" jumpsuit at night (over my long johns and accompanied by the UGGs that rarely left my feet), and sometimes slept with my watch cap on to keep my head warm. The diesel heater warmed up the cabin in the mornings that we weren't traveling and pretty much all the evenings of the trip. The tea kettle was kept busy heating water for coffee, tea, soup, and hot water bottles. 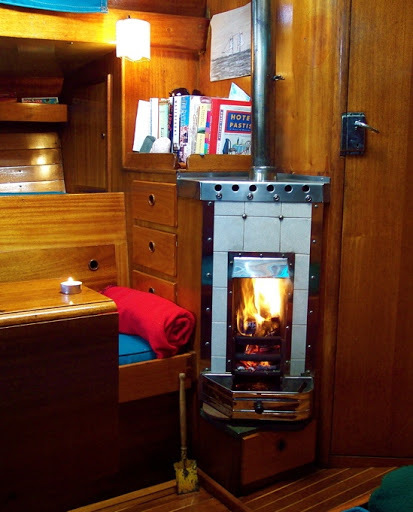 And, of course, the engine (which stayed on most of the passage) helped keep the cabin warm. After reading this list of preparedness, you may be saying, "So what was the problem?" 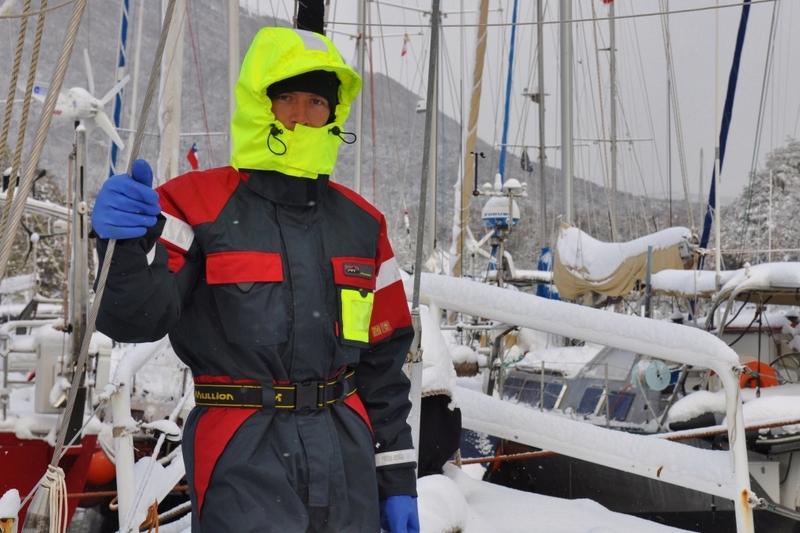 Well, no amount of layering or diesel heating worked completely for me when we were cold weather sailing. My nose stayed cold pretty much the whole trip-and sleeping with a cold nose has never been something I do well. And I discovered that I am a victim of Reynaud's Phenomenon (look, Ma, I have a phenomenon!) - an autonomic nervous system response that's gone awry. Reynaud's is my body's over-reaction to protect itself from the cold. The result is painful numbness in my fingertips, which also turn alarmingly white; ditto my toes. It didn't matter what gloves I wore, how many socks I had on under my UGGs-my fingers and toes hurt bad all the way down the ICW. (A few days after we put in to a Charleston marina, where the space heater stayed on at all times, the skin on my finger tips started peeling off...most distressing!). 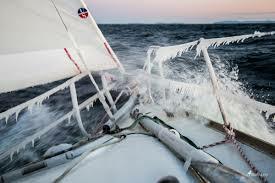 So...I have discovered one aspect of living aboard and cruising that I really CAN'T do--and it is humbling to admit it, it's cold weather sailing. After braving Atlantic gales, sitting out hurricanes, and threading my way through coral reefs, I have to admit to being crushed by something that a lot of other folks take as a matter of course....winter cold. "I GOTTA FLY TO ST. SOMEWHERE!"